I think the OP refers to what's mentioned under "National Interest Waiver" on this link ("Those seeking a national interest waiver may self-petition (they do not need an employer to sponsor them) and may file their labor certification directly with USCIS along with their Form I-140, Petition for Alien Worker. "): https://www.uscis.gov/working-united-states/permanent-workers/employment-based-immigration-second-preference-eb-2 I don't know the exact legal terms but my company files NIW (or at least fills the forms) for qualified employees, who mostly work at the research lab. I'm not fully aware of the details. The advantage is that the approval is almost 100% guaranteed. However, I don't have answers to the questions he posted. Hi all, A friend of mine who applied for NIW placed a Service Request and got the following response: The status of this service request is: U.S. Citizenship and Immigration Services (USCIS) records show that your case is currently pending adjudication. However, we have had to perform additional reviews on your case, and this has caused a longer processing time. We hope this information is helpful and appreciate your continued patience. What does it mean? Background/Security check? Or something else? Any clue? Thank you! I have another question. I got my Green Card based on NIW. I worked for corporate "A" for few years then I got a better offer from corporate "B" and I have joined them. Both corporates are very well known ones in the IT domain. I'm now waiting for my interview to be scheduled. Now I'm planning to start my own business in the same field as stated in my NIW petition. Since I cannot start my own business while working full-time with corporate "B" due to conflict of interest, I'm thinking of resigning from corporate "B" to focus on starting my own business. Is it better to wait until the interview is completed? Or can I just resign and start my own business? Will it have any impact on my citizenship? How about NIW-based Green Cards? Do you see a trend in increased scrutiny at the interviews? What areas of the application are mostly scrutinized? By the way, although the Green Card may expire, lawful status as a U.S. permanent resident does not. So long as the permanent resident continues to reside in the United States, he or she remains in lawful status, authorized for work in the United States, even if his or her Green Card has expired. The reason I asked you is that the USCIS automated the system that sends information to FBI for background check and the system had an [technical] issue. Mainly, it was truncating the last few characters from long names, which resulted in re-doing background checks and prolonging the waiting time. Also, people who stayed in the US for many years on GC seem undergoing additional screening. In your case, I believe the answer posted by pontevecchio is the best to follow. Please keep us posted so that other folks who may face similar issues in the future can benefit too. How long have you been in the US? And under which category did you get your GC? Also, is your name common or very long? It's not about spending money, even US persons who have relatives in Cuba were not allowed to visit the country for more than a specific time. Visiting Cuba was an issue in early 2000's even for many people who are non-US-residents including Canadian citizens who try to visit the US later. Now it's not anymore. I'm a European citizen but not Russian. Several years ago when I was on F-1 I visited Russia from my home country for a week to visit extended relatives and I was taken to the Secondary Check when I came back and questioned in detail about everything I did there and everyone I've met. The government can question you about anything they want if they feel there is a reason. I'm assuming this is required for I-485 applications that are based I-140 NIW. 1) What is the estimated additional delay? I-485 applications are taking about 8 months already nowadays. 2) Any speculations regarding the type of questions maybe asked during such interviews specifically for I-140 NIW approvals? Do you think they may ask about continuity to work in the same field? Salary? She cannot do Consular Processing because she is your dependent; not a primary applicant. The paper work is very straightforward assuming you have a decent paying job and you file for taxes. However, the waiting time can be about two years. Look under "F2A" at: https://travel.state.gov/content/visas/en/law-and-policy/bulletin/2017/visa-bulletin-for-august-2017.html" at the visa Bulletin: You can consult a lawyer and discuss your options. You can travel as a GC holder so your trip should be temporary. Also, take your expired Green Card with you. Expired Green Card doesn't mean your status has expired as Lawful Permanent Resident. 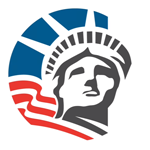 Finally, don't miss any letter from the USCIS regarding your interview (you can make someone check your mail while you're abroad if your trip is not too short), assuming you haven't filed for your citizenship online. Foreign citizens and non-residents can be questioned by US authorities regarding their previous trips around the world and the countries they visited. One example is the Visa Waiver Program Improvement and Terrorist Travel Prevention Act (https://www.cbp.gov/travel/international-visitors/visa-waiver-program/visa-waiver-program-improvement-and-terrorist-travel-prevention-act-faq). However, since Cuba is no longer in the list, the OP should be fine. 1) Tumpism is not really as simple as that. Furthermore, race and country of origin are synonymous with high percentage in the Old World countries. 2) There is no proof about anything you or I post, either, even as an OP. The forum is about exchanging experiences and providing advice. It also has moderators who approve or decline comments based on whether they are relevant. Actually, a colleague of mine was asked during the citizenship interview to provide documents that he has worked in the same field as stated in his NIW I-140. He is from S. Korea so there is no reason to be hostile with him whatsoever (even by a Trumpist) plus he works at one of the most known/famous IT corporations in the US and his NIW was in the same field. I hope it's not a policy guided trend.